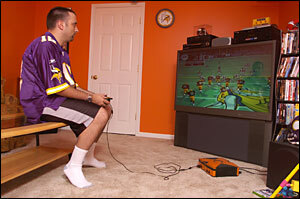 This photo was for an article by a local newspaper when they interviewed me about Madden football. I’ve enjoyed playing video games since I was a kid. Over the years, I’ve owned just about every system imaginable: Nintendo, Nintendo 64, Sega Genesis, Dreamcast, PlayStation, Playstation 2, Nintendo Wii, Xbox, Xbox 360 and now the Xbox One. Back in 2003, I tried to parlay my love for video gaming into a business. You can read about my adventures below. After attending a huge (and what I thought was poorly organized) video game tournament (Halo) in April 2003 with some of my friends, I thought it would be fun to start hosting my own tournaments. It seemed like a pretty simple idea. At the time, I was working at a local newspaper and started running ads (a perk of the job) looking for local video gamers. After organizing a few get-togethers from the people I heard from, I started the Louisville Video Gaming Association (LVGA). We held tournaments and get-togethers at various venues. I even had the opportunity to write some video gaming-related columns for the weekly newspaper I was working for. Over the first year of its existence, the LVGA grew by leaps and bounds. We went from one tournament with around 30 participants to a tournament with nearly 150 participants. Our website message boards had several hundred members posting messages on a regular basis and traffic to the site was around 40,000 pageviews a month. We even received some local press for our activities when I interviewed about video gaming. We were doing so well in fact that I started having thoughts of opening a video gaming center. I surveyed hundreds of local gamers on the LVGA website and determined there was a demand for such a business. 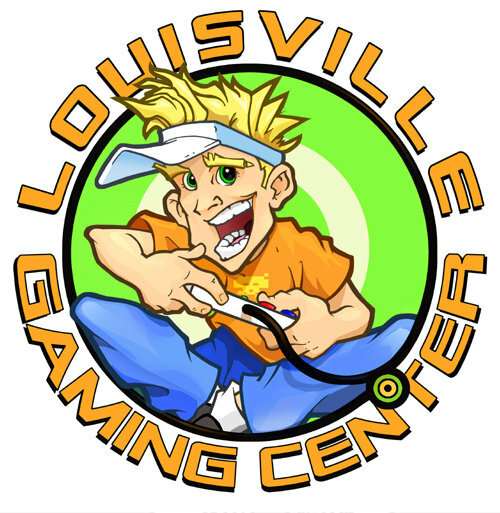 A partner and I opened the Louisville Gaming Center (LGC), Louisville’s FIRST console-only gaming center, in December 2003. The plan was to host tournaments, leagues, birthday parties, and corporate events. Since video gaming had become so popular, I thought it would be a great place for friends to get together and play video games. The LGC got great press from LEO, Velocity, and Fox 41 (Fox in the Morning and Fox News at 10). Unfortunately, the business didn’t do as well as we had hoped. We decided to close shop after four months. Looking back, we just didn’t have a good business plan and were a little ahead of our time. The idea just didn’t catch on. Plus, it was extremely difficult for me to run a retail business (the hours) with a new family at home. It was a great learning experience for me and I’m proud to say that I tried it. Click on the thumbnails below to view some pictures taken at the gaming center. I had a blast with the LVGA and Louisville Gaming Center. I met a lot of great people and formed some wonderful friendships. Now, I’m content sitting at home playing video games with my kids.